I suppose I should feel fortunate that I did not get picked on nearly as much as I could have been growing up. I was always a little different. While other boys liked Star Wars, I preferred Star Trek. I favored traipsing around a soccer pitch to standing on a baseball diamond or getting lightly mauled on a football field. Others video-gamed with Yoshi and Sonic while I read Dale Brown, Tom Clancy, and Michael Crichton. With a somewhat less than towering stature and an introverted nature, I stood apart from my peers in all the ways that mattered to those between ten and 16 years old. My 30-minute bus ride to school each morning was illustrative of this. Out came my Sony Discman, which housed anything from Asia to Rammstein to the Crimson Tide soundtrack, and on went my Grado SR-80 headphones. I then flipped open my brother’s audio magazines and proceeded to tune out the surrounding cacophony to enjoy articles about obnoxiously priced stereo equipment. Among the mostly out-of-reach products were Musical Fidelity’s A3cr amplifier and preamplifier, in mildly gaudy gold trim, which retailed for $1495 each and purported to perform far beyond their relatively modest price. Months later came a review that left a lasting impression. Musical Fidelity’s M3 Nu-Vista integrated amplifier was an overbuilt, two-box beast in beautiful aluminum (except for that ostentatious gold) that allied military-spec vacuum tubes with a solid-state output stage to produce 275Wpc. It was the latest in a line of "super integrateds" put out by the British firm, and whatever the reason, I was awed by it. When I later read a review of the subsequent Tri-Vista 300 integrated, with its all-silver color scheme and lit-up feet, I resolved that I would eventually have a brutish, limited-edition Musical Fidelity integrated of my own. Almost eight years on, I received a large box with Musical Fidelity’s blue logo adorning opposing sides, and with unabashed giddiness I wired the company’s latest "super integrated" into my system, bracing my exceedingly high expectations, accrued over those eight years, in anticipation of being bowled over by sonic awesomeness. The M6 500i integrated ($6999 USD in silver or black) came well packaged, and enclosed in a velvet bag to protect against cosmetic injury. Also included was a 13-page instruction manual, and a universal remote control with buttons for controlling volume, input selection, and muting, and others that can be tied to a Musical Fidelity CD player with digital inputs. The remote is a generic, non-bespoke plastic design that does not match the quality of the amp itself. In contrast, my ten-year-old Krell integrated amplifier, which retailed for less than half of the M6 500i’s price, has a nice credit-card remote that feels commensurate with the product. Further, the MF’s remote lacks a Power button. I could overlook all of this had the remote worked flawlessly, but its volume control proved frequently unresponsive to my direction, often requiring multiple attempts to get it working. My review sample wasn’t brand new; it’s possible the remote had been damaged or is a lemon. Unlike its remote control, the M6 500i itself is well designed and well built. And unlike its two-chassis Nu-Vista and Tri-Vista forebears, the M6 500i’s power supply and audio circuits are integrated into a single chassis. The dominating aluminum volume control, a huge knob dead center on the thick aluminum faceplate, directly under a volume readout of red LEDs, gives pleasant tactile feedback when turned. Also on the faceplate are buttons for Power/Standby/Mute and Tape Monitor, and input buttons labeled Balanced, CD, Tuner, Aux/HT, and Tape. On the rear are four sets of high-quality binding posts for biwiring, one pair of balanced (XLR) inputs, four pairs of gold-plated single-ended (RCA) inputs, Pre Out and Tape output sockets, an Aux/HT selector allowing for use in a home theater, and an IEC mains input. The 500i is part of Musical Fidelity’s M6 line, which also includes a power amplifier, a preamplifier, a CD player, and another integrated amplifier, the M6i. Curious. Whereas the "base" M6i is a terrestrial, 200Wpc, dual-mono integrated with the usual series of single-ended and balanced inputs and a relatively light and compact design, the M6 500i is . . . more. This super integrated measures 17.3"W x 6.3"H x 18.1"D and weighs a substantial 66 pounds. That weight, combined with its finned-heatsink side panels, makes it a bit cumbersome to move around. The most important difference between the M6i and the M6 500i is in their power outputs. The M6 500i makes 500Wpc into 8 ohms or 850 into 4 ohms, with 100 amps of current on tap. Blimey. More impressive than the M6 500i’s build quality, however, are its technical specifications. The dual-mono design, derived from the circuit of Musical Fidelity’s Titan amplifier ($20,000), forgoes the choke power filtration that the British company has used in many of its products. Discrete, low-noise, class-A solid-state devices are found in the input stage; six per channel are used in the output stage of the class-AB amplifier section. Total harmonic distortion is claimed to be less than 0.01% across the audioband. This is actually greater distortion than the 0.007% spec of the older Tri-Vista 300 integrated, but that can perhaps be attributed to the change from two chassis to one, a move made to keep costs down. In what is swiftly becoming a crowded listening room, the M6 500i replaced the aged Krell KAV-300il at the heart of my system. DAC duty was split between my reference Benchmark DAC1 USB and Arcam’s D33 DAC, from their Full Metal Jacket line. I used my Mirage OMD-28 loudspeakers for most of my listening, but Aperion’s Intimus 5T and MartinLogan’s Electromotion ESLs also saw stints partnering the MF integrated. A loom of Nordost Blue Heaven speaker cables, XLR interconnects, and power cords initially wired everything together. The M6 500i’s revealing nature manifested itself as the sonic characteristics of the rest of my system, necessitating care in component selection. The Blue Heaven speaker cables proved too lean in tonality and bass weight, so in went Dynamique Audio’s Caparo copper/silver hybrid cables. My Benchmark DAC was sacrificed for the same reason, the Arcam D33 taking its place. In the 15 months I’ve owned them, my Mirage OMD-28s, with a nominal impedance of 6 ohms and dipping down to 3.5 ohms, have revealed themselves to be a tough pair of speakers to drive. My Krell integrated had the wattage, if not the current, to encourage my pair of finicky Canadians to sound their best. The Krell-Mirage tandem has left me mildly disappointed, especially in terms of bass performance, which was too loose and nondescript for my taste. Then came the Musical Fidelity M6 500i. The British integrated has had a vise grip on the bass drivers of my Mirages since they were introduced to one another and has yet to let go. I am, perhaps narcissistically, quite fond of composer Hans Zimmer’s soundtracks. While Zimmer is often keen to rip off his own previous compositions, his score for director Terrence Malick’s The Thin Red Line (16/44.1 ALAC, BMG) is a unique quantity, replete with somber minor chords and making use of a variety of east-Asian instruments -- a perfect accompaniment to Malick’s meditation on war and nature. "Air" commences with crushing taiko drumbeats that are felt as much as heard. The M6 500i rendered them with superb athleticism. Slight differences in timing between the drummers could be discerned, and there was zero bloat in the bottom end. This was taut, extended, effortlessly punishing stuff. Bass was hardly the defining quality of the M6 500i, however. 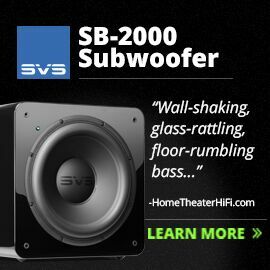 Many high-power solid-state designs of the past were criticized for being long on bass reach, retrieval of detail, and abject sonic control, but a bit short on musicality. Like two German physicists exchanging their affection for one another, one got the sense that the resultant sound was unswervingly accurate but bankrupt of emotion and soul. The M6 500i had no such shortcoming. It married the stereotypical brute force of solid-state design with uncharacteristic grace and verve. Coldplay’s "A Hopeful Transmission," from their Mylo Xyloto (16/44.1 ALAC, Parlophone), put this quality on display. The track is more a 33-second interlude than a proper song, but it features a heartbeat-like bass beat in front of a small string section and dancing percussion instruments. The beat has little definition but notable depth. Along with the transients reverberating at the rear of the soundstage, the brief passage places a variety of demands on an amp, and the MF met them. 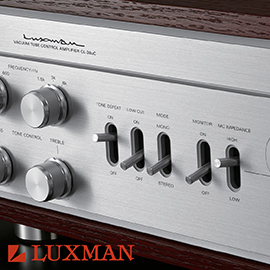 Never indolent, the M6 500i exerted fine control over high-frequency transient decay. It refrained from being razor-sharp, and was ever so kind in this regard. Along the same lines, the integrated leaned toward the warm, lush side of neutral, but never objectionably so. Soundstaging and transparency were equally accomplished, with Gershwin’s Rhapsody in Blue (16/44.1 ALAC, Deutsche Grammophon) and Stravinsky’s The Auguries of Spring, from his The Rite of Spring (16/44.1 ALAC, Telarc), both sounding delicious. Dimensional extension slightly bettered my Krell both laterally and in depth, but the M6 500i was noticeably more transparent than my secondhand stalwart could muster. Instrument articulation was more nuanced and more individualized, and emerged in a quieter, less grainy fashion than I’m used to hearing through my KAV-300il. The M6 500i was equally accomplished with 24-bit/88kHz material. Oja Gjeilo’s "Dorisk," from the Soundstage Network’s 2L-TWBAS 2012 Sampler (24/88.2 FLAC, 2L/SoundStageRecordings.com) was . . . organic. This solo-piano piece begins with a deep note at the far left end of the Norwegian’s keyboard that is repeated several times in the song’s first 20 seconds -- absurdly simple, but this note was pregnant with detail, sounding like not merely an ambiguous iron string, but one with a readily audible vibration. The acoustic piano can be a hugely expressive instrument; finding a piece of hardware that effortlessly passes along the nuances of the original performance is what separates great equipment from the merely good. In aggregate, the M6 500i has qualities that I think would appeal to an array of listeners: superfluous power, musicality and warmth, resolution befitting a $6999 asking price, a proud lineage. Really, there’s a lot to like. A ten-year-old, 30-pound integrated amplifier is hardly a worthy competitor for the substantial Musical Fidelity M6 500i, but my Krell KAV-300il ($3295 when available) comported itself well. The MF’s mild warmth and weight were offset by the Krell’s more neutral sound, and while the Krell’s soundstaging helped it keep pace with the M6 500i, the newer integrated predictably distinguished itself by virtue of its rigorous control and greater transparency. 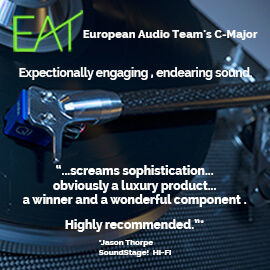 It’s those last two points that highlight the importance of a capable amplifier in achieving better sound. My Krell offers 400Wpc into 4 ohms, and monoblock amplifiers that deliver 1000Wpc at the same impedance can be had for less than $2000/pair. Power, and a lot of it, can often be the first step to better sound, but these numbers alone don’t tell the whole story. 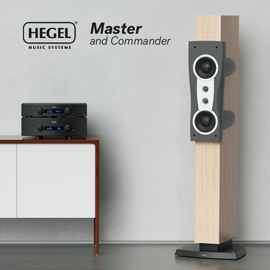 The signal/noise ratio of the M6 500i is superior, its total harmonic distortion is one-fourth the Krell’s, and it has six times the current capability. You get what you pay for. Musical Fidelity’s M6 500i is a gentleman thug of an integrated amplifier blessed with equal helpings of brawn and delicacy. These seemingly opposing strengths will attract different types of listeners, but this model is worthy of universal respect. It was a pleasure to make the acquaintance of this latest and greatest in MF’s line of British specials. I will be sad to see it depart. Warranty: One year parts and labor (extended to five years through Tempo High Fidelity in North America).